Irritable bowel syndrome (IBS) symptoms can be reduced with exercise and physical activity. The findings come from the University of Gothenburg’sstudy, which included 102 patients. Half of the patients were randomly selected to increase their physical activity levels, while the other half maintained their usual lifestyle. Both groups received supportive phone calls from physiotherapists. The first step in the IBS management is a healthier lifestyle, which includes diet changes and exercise. Exercise has been shown to help IBS patients improve their emotional and physical triggers of the symptoms. Stress is a well-known trigger of IBS and its symptoms. A stressed patient may experience greater abdominal pain, diarrhea, and constipation, along with overall worsening of the symptoms. Exercise is known to be a natural stress reducer that can then help ease stress-related symptoms. Exercise has also been found to improve constipation. Exercise can help keep things moving along the digestive tract and thus decrease the frequency of constipation episodes. One study from England found that IBS patients who partook in 30 minutes of exercise five days a week reported fewer bouts of constipation along with general symptom improvement. 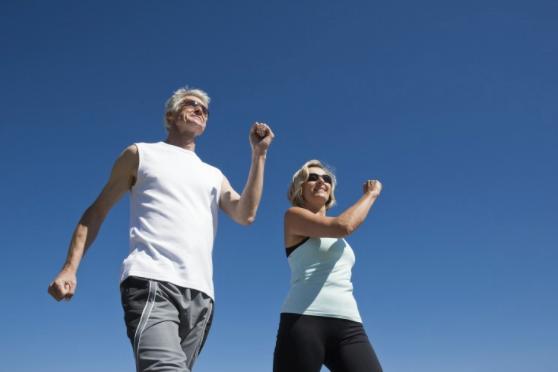 Some examples of different exercises that you can try and benefit from include cardiovascular exercises like biking or walking, breathing exercises, yoga, tai chi, and meditation. Here are some helpful tips to get you exercising more and help you stick to your plan. Exercise at the same time each day to make it part of your routine. Avoid exercising within an hour before or after eating. Exercise when you’re alert, not sleepy. Choose an exercise that you enjoy so you will stick to it. By adding regular exercise to your IBS management routine, you can experience better relief from your IBS symptoms. Urologists like Dr. Fredrick J. Snoy can provide treatment recommendations if you are experiencing symptoms of IBS. Please contact our office for an appointment if you would like to discuss with Dr. Snoy, (505) 872-4091.